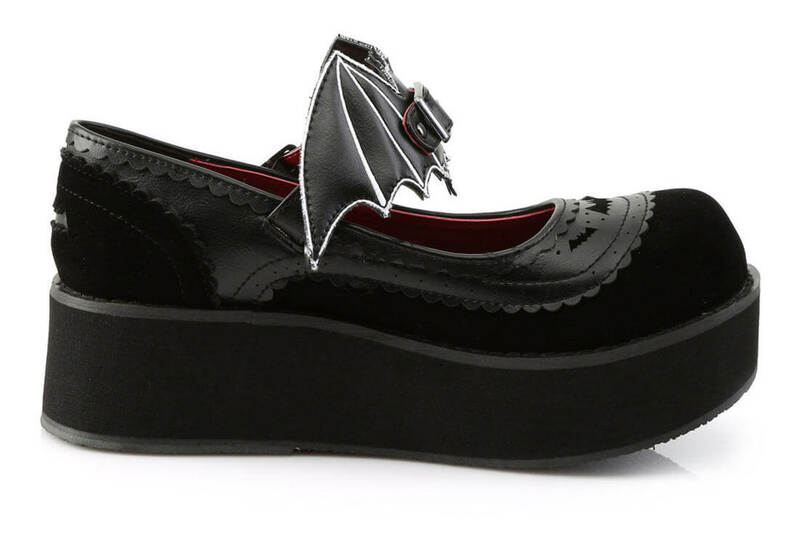 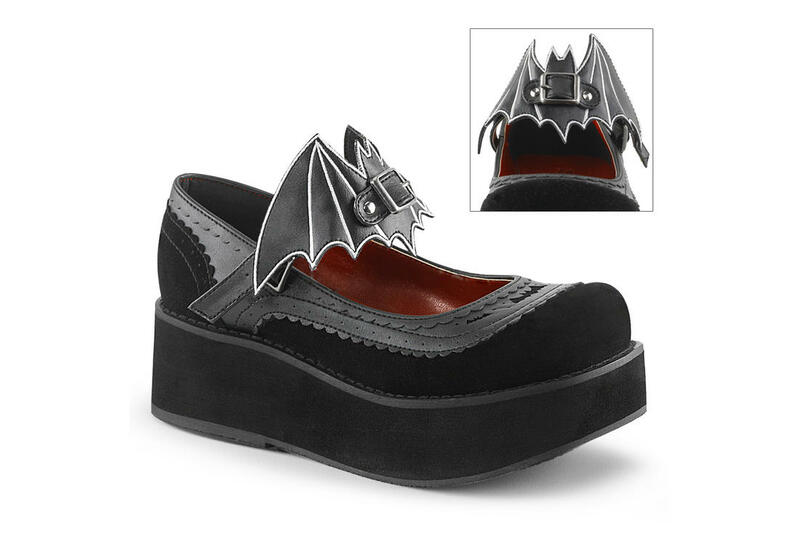 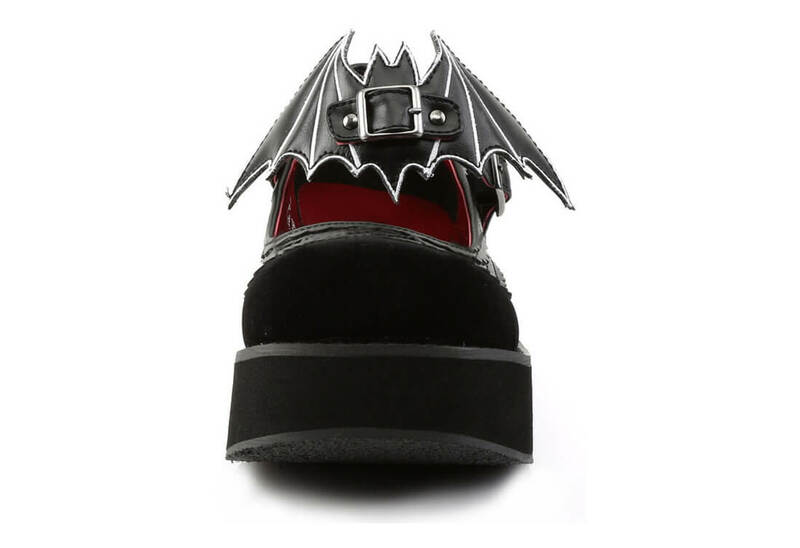 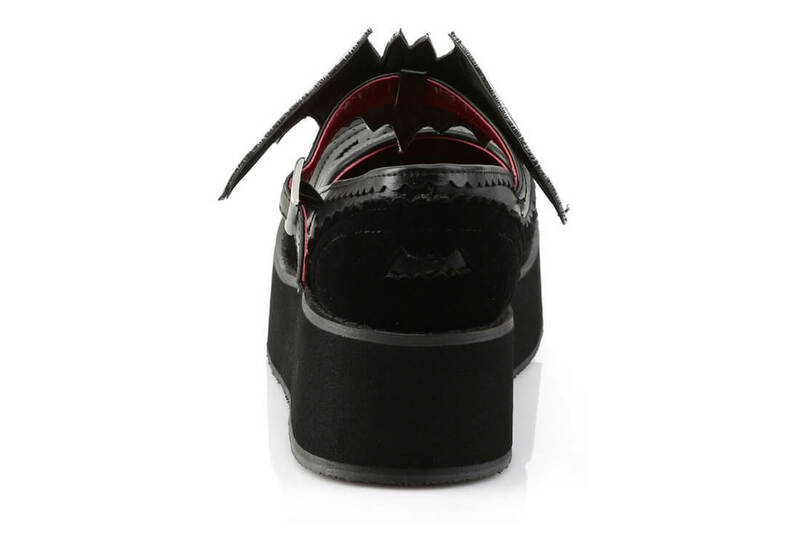 These Black vegan leather velvet mary jane platform have a removable embroidered bat cut-out on the front. 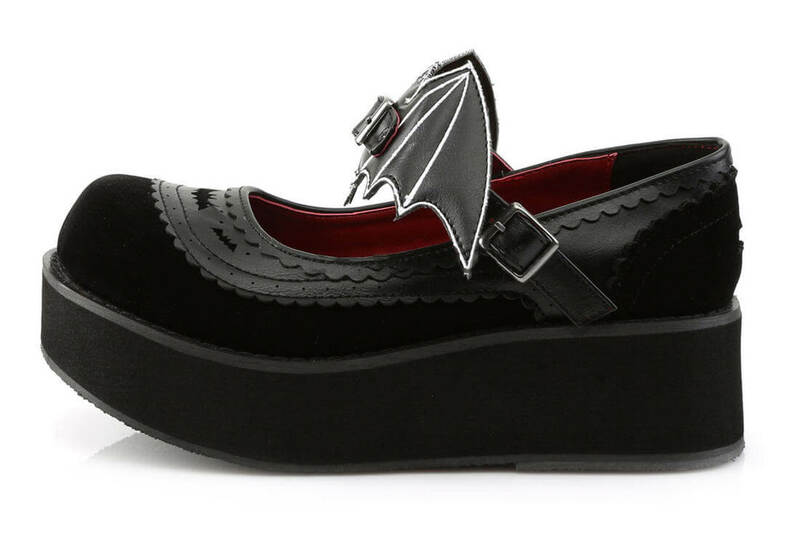 The 2 1/4 inch platform gives this shoe just enough lift. 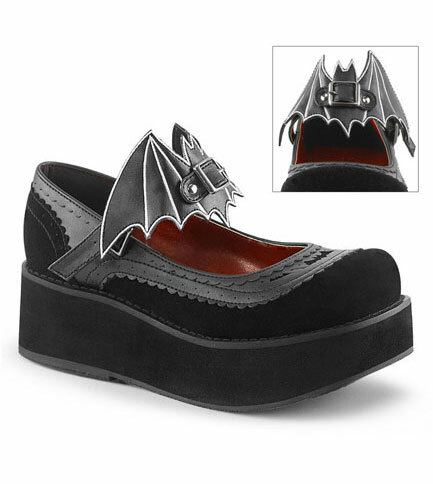 Not only are they super cute they are super comfy.